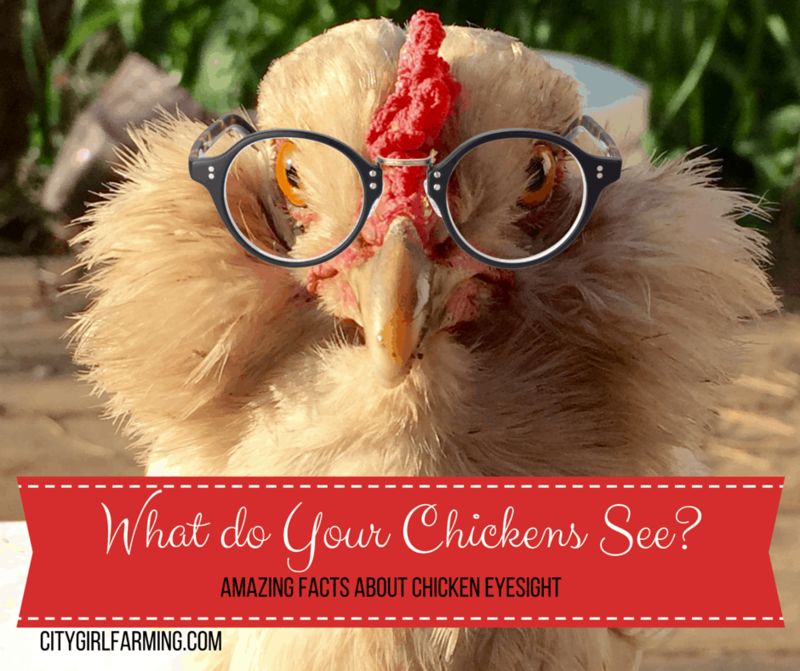 What Do Your Chickens See? I swear my chickens have ‘mother’s eye’. You know, that one in the back of her head and sees every move even when she’s not looking at you? No matter how sneaky I think I am, it’s nearly impossible to slide one by on my hens. And believe me; I’ve tried (usually to capture a great photo that they generally ruin by catching on before I snap it). This ‘all-seeing’ my hens love to exhibit when it comes to the camera isn’t because they’re camera shy, but because their eyes are located on sides of their heads. This allows them to see 300 degrees without moving (where we humans can only see 180 degrees). So, they have a tiny advantage in their field of vision. 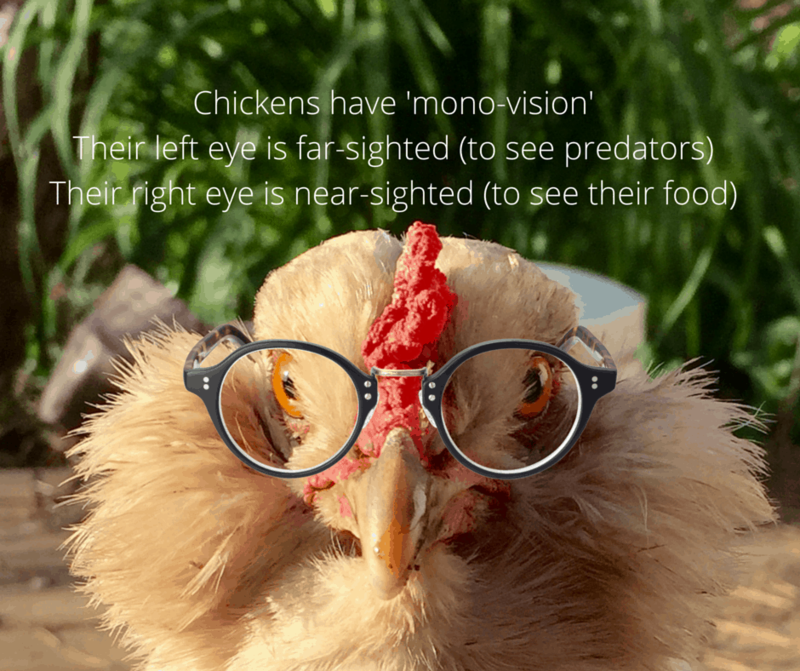 But how well can chickens REALLY see? 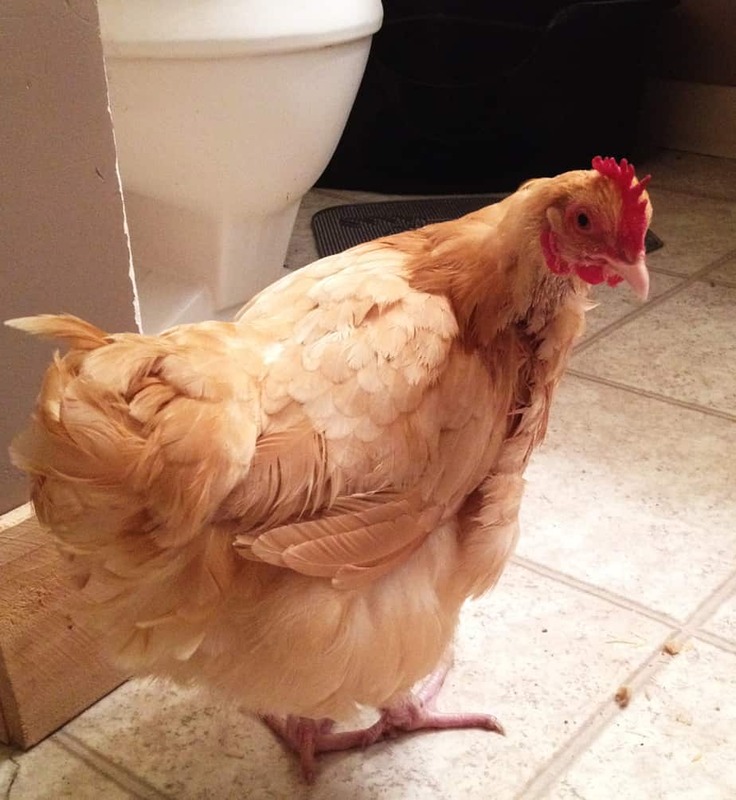 You’ve probably heard that chickens have a hard time seeing at night or even when it’s just starting to get dark. That’s why they put themselves to bed at dusk (or sooner). Their instinct let’s them know they need to beat the setting sun in order to find their way home. If they end up somewhere (besides their roost pole) after it gets dark, they will sit where they are and wait for sunrise. Their inability to see at night makes them an easy target for nighttime prowlers. It also makes them easier than children because they never fight about going to bed on time. 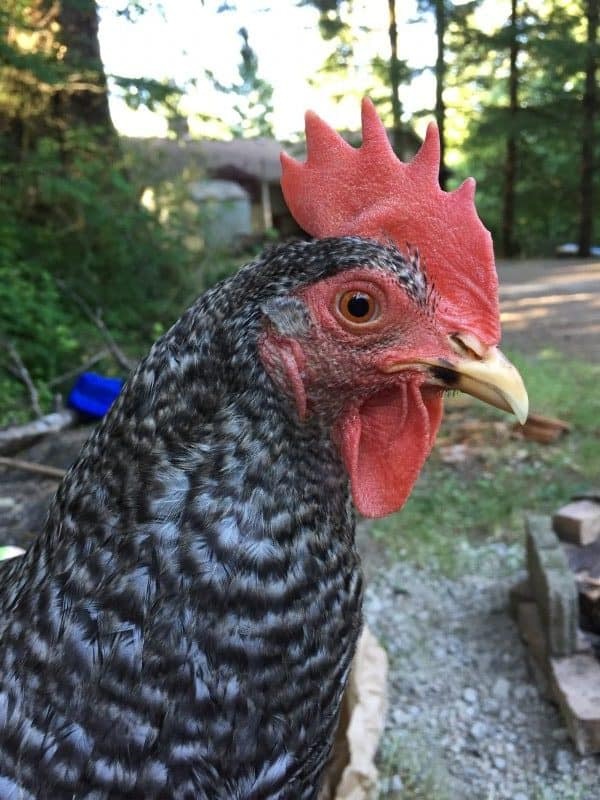 Eye mass might play a part of a chicken’s superior eyesight, but the construction of their eye itself gives them some definite added advantages. For one, while our eyes have three cones (red, yellow and blue), but a chicken has TWO EXTRA cones: one that sees ultraviolet rays (UV) and one that gives them a heightened sense of motion. These added cones come in very handy for a chicken. The UV cone allows them to see shiny things (bugs, seeds, etc.) easier. 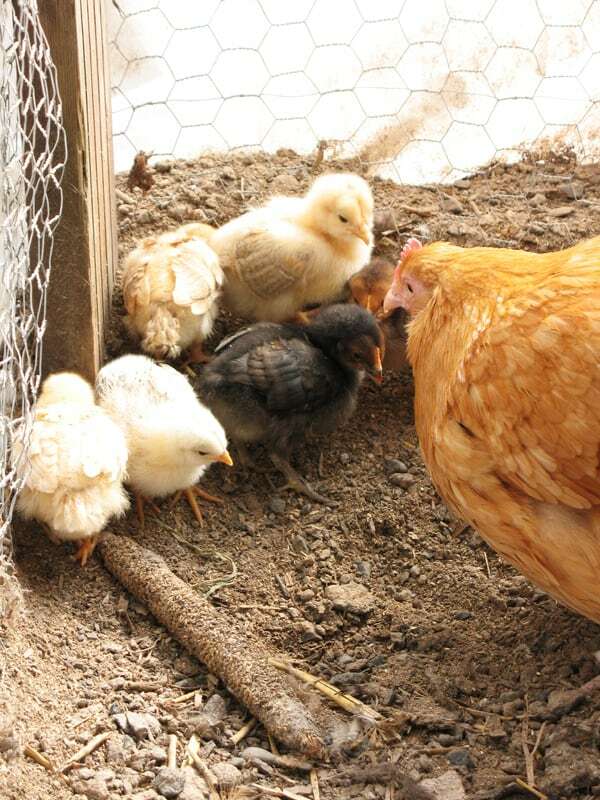 It also allows them to see which of their baby chicks are doing better than others (because they can see how many UV rays are being reflected off surfaces and a healthy chick has shinier feathers and more UV ray reflection). The downside to the UV cone, however, is that UV lightbulb is similar to a flickering strobe light to them (which is a good reason to NOT subject your hens to UV lighting!). Just this month I unknowingly gave myself a little bit of chicken vision, in a way, without realizing it. How? Well, I’ve finally gotten to the age where I’m trying mono-vision contacts. You know, one that sees at your normal strength vision and one that sees at a lesser strength so you can still read labels and books and things without readers with lesser strength contact, but can also see further away because of the regular strength contact (yes, I will go to great lengths to keep readers at bay!). As it turns out, my mono-vision contact experiment is exactly like my hen’s eyesight. Their left eye is far-sighted (to see predators) and their right eye is near-sighted (to see bugs and food and such close up). This explains why if there is a hawk flying overhead they tilt their heads to the right and look up into the sky with their left eye. I guess my girls will never need readers! Or any other help seeing for that matter—unless they dawdle on their way to bed and need me to help them find their way in the dark. And all of this explains how they can, with sharp precision, grab a microscopic piece of something-they-want-to-eat off my shoe or leg or hand and NEVER miss it. Chickens are fascinating creatures. Their eyesight is just one more thing that amazes me. Even if they routinely allude my photographic hopes.